Can I get a *jawsome*? It's with a sad and heavy heart to say that my brother passed away. He was surrounded with his loving family, singing worship songs, and prayers. Thank you all for those who prayed for us, please continue to do so, our family greatly appreciates it. Heavenly Father, Thank you for giving my brother into our lives. He touched so many of us in so many special ways. He loved us and I know you loved him so much. Thank you for taking away his pain, although now our family hurts we have the hope that you have a plan and purpose even in death. You promised us in John 3:16 that you love us so much that you gave Your Son so that we may not perish but have eternal life. I have faith in your promise that one day you will wipe away our tears and we get to fellowship with you forever. Through it all, I love you and will continue to be faithful. Please be with my family, his wife Puni, and his three sons: Jacob, Jaybez, and Jayden, please comfort them in this uncomfortable time. You also promised never to leave us. I trust you in that. Thank you Lord that I got to have so many wonderful memories with him. In Jesus Name, Amen. Isaiah 40:28-31"Have you never heard? Have you never understood? The Lord is the everlasting God, the Creator of all the earth. He never grows weak or weary. No one can measure the depths of his understanding. He gives power to the weak and strength to the powerless. even youths will become weak and tired, and young men will fall in exhaustion. But those who trust in the Lord will find new strength. They will soar high on wings like eagles. They will run and not grow weary, They will walk and not faint." 2 Timothy 4:7-8 "I have fought the good fight, I have finished the race, and I have remained faithful. And now the prize awaits me-the crown of righteousness, which the Lord, the righteous Judge, will give me on the day of his return. And the prize is not just for me but for all who eagerly look forward to his appearing." Onassis, I miss you, I wish I had more memories with you but the ones I do have, I'll treasure for the rest of my life. Like the time you flew with me to Alaska when I was eleven, the one time we flipped on the three wheeler, and those other times you took me out on you boat. I love you, my dear brother. This picture above represents life. A life worth living, worth breathing, worth it all. This is my brother, Onassis, who has stage 4 lung, liver, and spine cancer. He survived colon cancer a few years ago but it grew out into his other organs. The doctors gave him only a few more months to live. 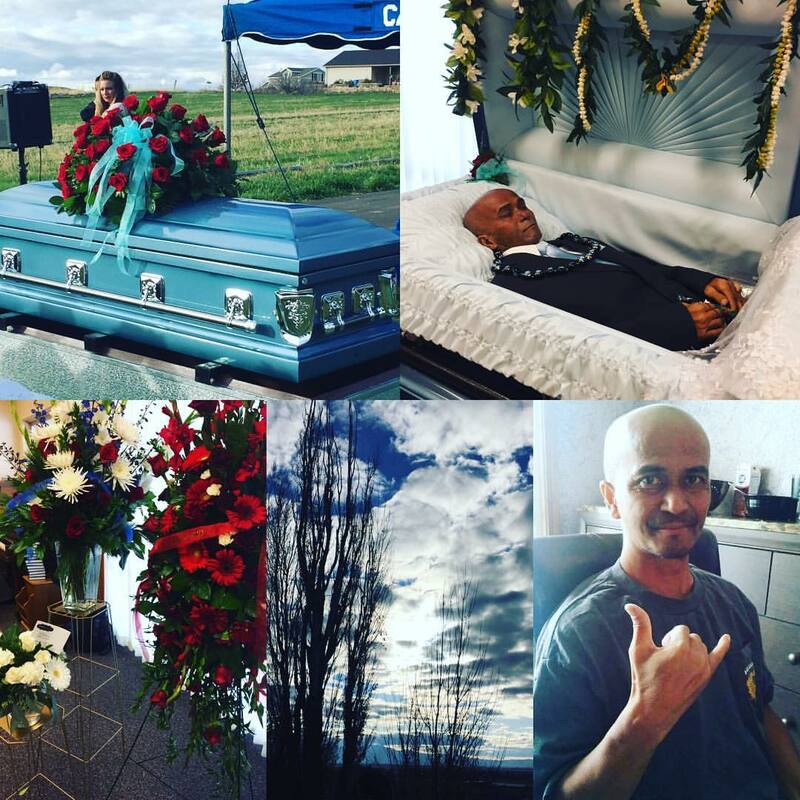 He has a wonderful family, wife, Puni; Three wonderful boys: Jayden, Jabez, and Jacob. Both the oldest and middle children are football players and the youngest one is the sweetest 4 year old child. They moved from Utah to Oregon to be closer to my other brother and sister who are care home owners and to be in their hospice care. As soon as we heard the news, my mom travelled to Oregon by herself to be closer to him. 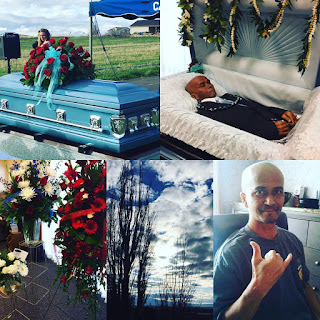 The rest of my family and his wife's family is here in Hawaii so it's really hard to be able to visit him. I was able to FaceTime him on Sunday and he seemed to be in good spirits. My brother Onassis in his prime. 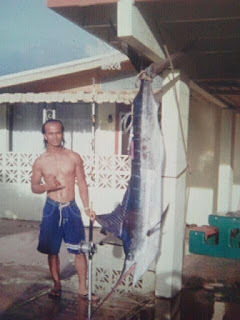 Fishing and owning a boat was his biggest desire back then. Brother, I remember the time I wanted to go out On the boat with you but everyone else was going fishing. You told me to come (even though I get sea sick) that we were gonna swim next to dolphins. Then you saw a whole bunch of birds near a buoy and stopped the boat. I never got to see dolphins and I got so sick, I was throwing up on the side of the boat. You told me "it's ok keep it up its like chum for the fishes!" 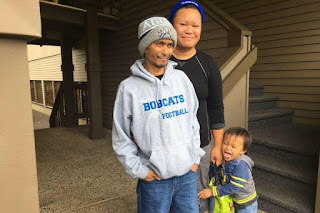 This GoFundMe page is to help financially support him and his family but what I really desire is prayers that God will be present in this rough situation. Pray for peace in my family's hearts that we can trust and keep believing that no matter the outcome we will continue to love God because he is still on the throne. Miracles happen everyday, so please pray for more days so that he can keep fighting, more days to spend with his beautiful family, and comfort in what seems like his last days. If you feel lead to give, we appreciate you so much but if not, your prayers are priceless, the pleasing aroma unto God. Thank you. Revelation 8:2 I saw the Seven Angels who are always in readiness before God handed seven trumpets. Then another Angel, carrying a gold censer, came and stood at the Altar. He was given a great quantity of incense so that he could offer up the prayers of all the holy people of God on the Golden Altar before the Throne. Smoke billowed up from the incense-laced prayers of the holy ones, rose before God from the hand of the Angel. This past week, the worship pastor of the Rock Church in San Ysidro committed suicide. I am deeply saddened by this news, the last time I saw him was three years ago when I visited San Diego. They came by to where I was at to say hi. It was a short and sweet visit but it was nice to see him and Brenda. There is a stigma on Depression and Mental Illness in the church. I was subjected to this stigma when I initially got sick. I was told I wasn't praying enough, I had "spirits" within me that was tormenting me, and I wasn't Christian enough. This is NOT true. Depression and Mental Illness has many reasons why it happens. Please watch Pastor Miles as he addresses this topic. "What you suffer from does not define who you are." Click on the link and it will lead you to the message. It's been a long while since I've posted on this blog. Since the last post, I've graduated from New Hope Christian College, which is now Pacific Rim Christian University, fell in love with the third love of my life, and have my own place I can call home. Even though it's in the same house I've grown up in, I have a studio that is connected to the main house but it's good enough. I finished school this past December and since then I've been just taking it easy. The reason I stopped posting on my blog is that in 2012, I became sick with an illness that impaired my judgement, reasoning skills and had social anxiety. I found out that I had a chemical imbalance that changed my reality. Through the help of many doctors, I am now able to control my illness and live a somewhat balanced lifestyle. At the time of my illness, I became very depressed to the point of having suicidal tendencies. I lost all hope and became very apathetic towards life. I took a break from school in 2013 and I fell in total despair. Even though I was attending a Christian college and knew that God existed, I felt so disconnected and out of touch with reality. No matter how hard I tried, I couldn't just "pray it away". It was during this time that I met Mikey, my current boyfriend, who helped me through the whole process and most of all he was there for me the whole entire time. Knowing that he was there helped me tremendously and I was able to go back to school and finish strong. My relationship with God had changed, I doubted him and felt a loss in trust. I'm beginning from square one, taking baby steps in trusting him again. Things are looking up for me, I'm doing better and I hope I can keep up the feelings and emotions that I have. It's a daily struggle and I need strength that only God can provide. I still want to remember the things that happened these past few years, I know that because of my experience, I can one day encourage someone else who is going through the same things. This leads me to maybe continue on to get my Master's degree in Social Work, hopefully making a difference in someone's life. We'll see! True friendship is like sound health, the value of it is seldom known until it be lost. 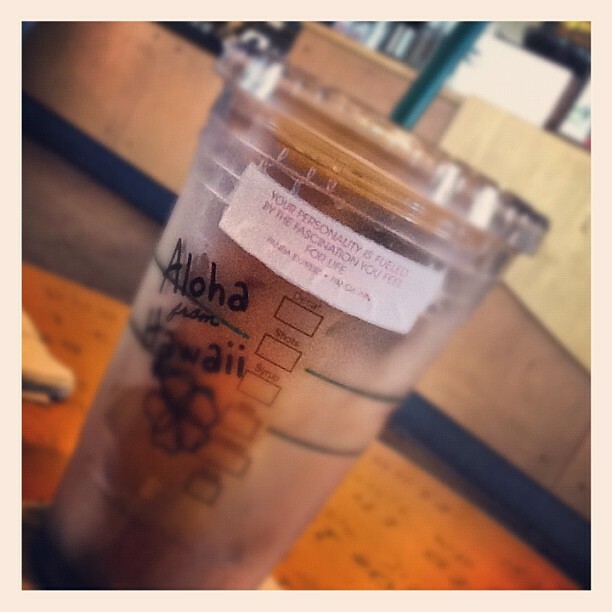 -Charles Caleb Colton ♥ — with Velma Medina at @ The Office Sbux Waikele ;p.
I'm just a simple girl, really. I'm a lifelong student;I finally got my degree at Pacific Rim Christian University where I majored in Theology. All things Analyn is everything about me, crafting: scrapbooking and card making, and my adventures in Paradise. I fill my days spending time with my wonderful husband, Mikey and anything in-between. Enjoy!